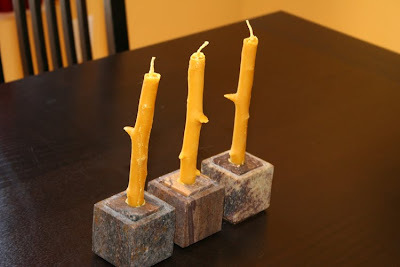 Available now from a neighborhood near mine, this lovely faux stick beeswax candles by Lacey of gremlina. Lacey and her husband keep bees and sustainably harvest the honey and beeswax from their buzzing friends to bring you these lovely treasures. You might have seen them on my Thanksgiving table. 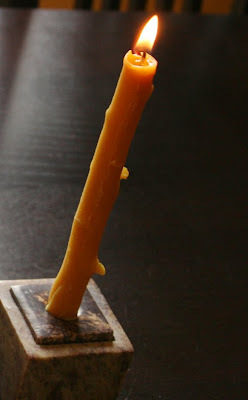 Lacey offers a variety of sizes and thicknesses of these stick candles, and all are such a treat to behold. And now for a craft! With the leftover wire from our Martinmas lanterns, I spent a few days turning over in my mind a way to make cinnamon stick stars. I tried wrapping the corners of the cinnamon sticks, which did not work so well, then I threaded the wire, stiff but malleable, through 10 3-inch cinnamon sticks leaving about 1 inch of wire sticking out on either end. 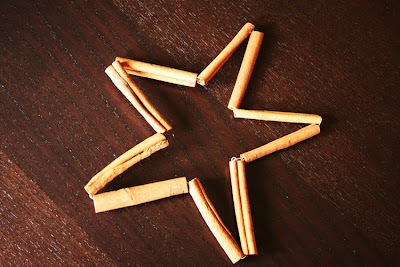 I folded each end of the wire over the other to secure the sticks in a circle, and simply started bending the wire into a star shape between the cinnamon sticks. These heavenly scented ornaments could certainly be hung on a tree, but I rather like mine sitting in the window sill warming in the first morning rays. Those candles are beautiful and I love the star. I can't stand it, so many great crafty ideas out there at this time of year and not enough time to make them all! ahhh cinnamon decorations are wonderful. I am planing to do some this year too! 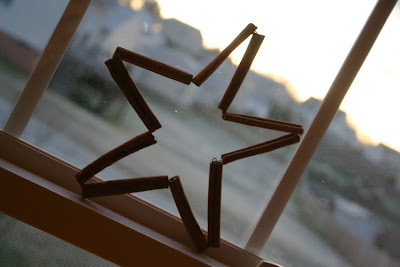 I love your idea of making a star and putting it in the window. I think I will try that as its hot here, so the smell will be delicious! LOVE the cinnamon idea! We may have to give that a whirl! 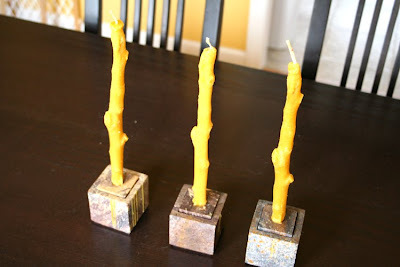 I really love the cinnamon stick idea and will be adding one to our tree! I love the candles, and those cinnamon stick stars are so cute! Fabulous idea. Cute craft! I got my candles yesterday--they are so delicate and gorgeous-- love! Thanks Joy!! (& you other ladies for your orders!) I will not take credit--they are all my husband's doing. I'm so proud of him! 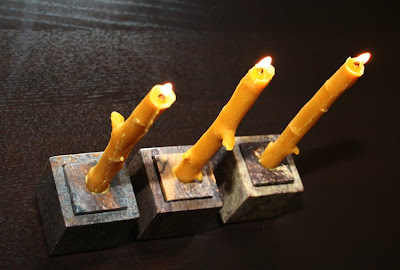 I'm sure there will be more fun candles in the future. Love the cinnamon stars! Great idea.